The closer Apache Hadoop comes to being a real time platform for your enterprise data, the more business critical the data integration layer becomes. 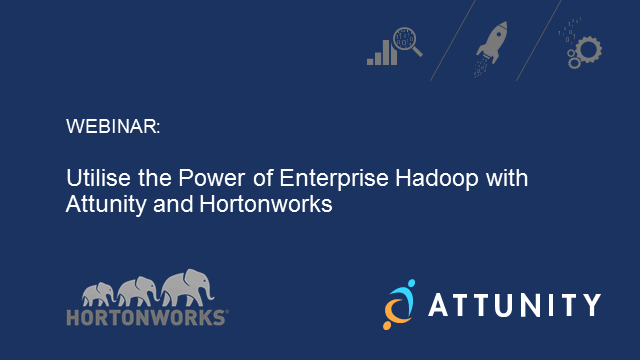 Join us to hear real life use cases and learn how leading global financial, insurance and retail organisations are combining Attunity and Hortonworks solutions to meet enterprise big data challenges. You’ll also have the chance to ask our experts about your big data challenges.